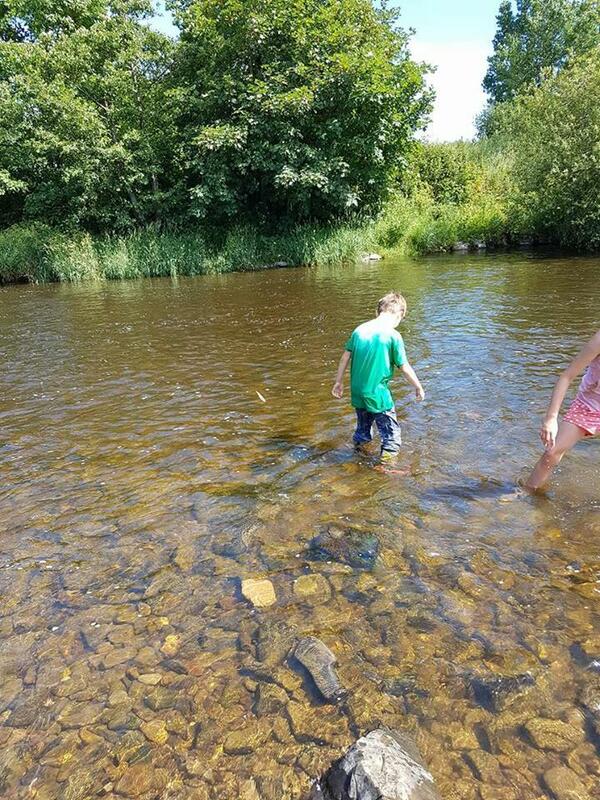 We are so lucky to live where we do. 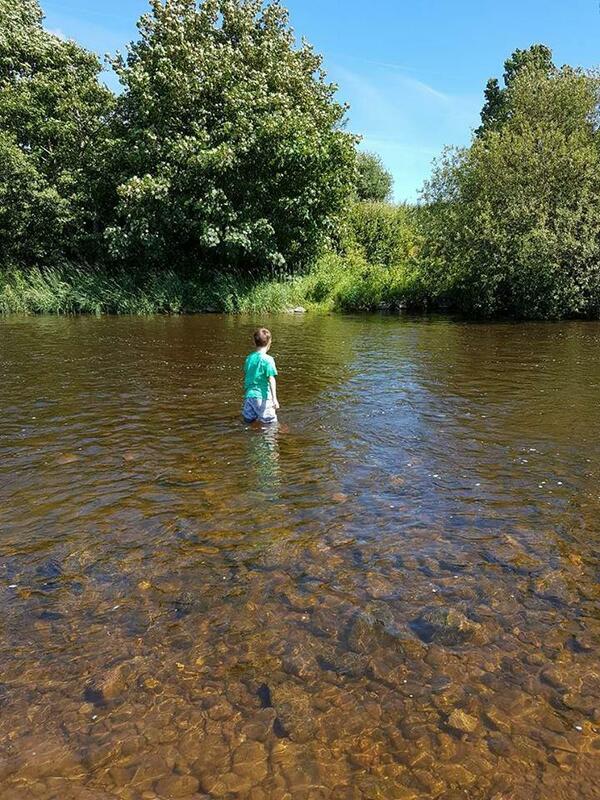 Devon boasts so many wonderful things from beaches and moorland, to the wonderful rivers and field we have right on our doorstep – literally. 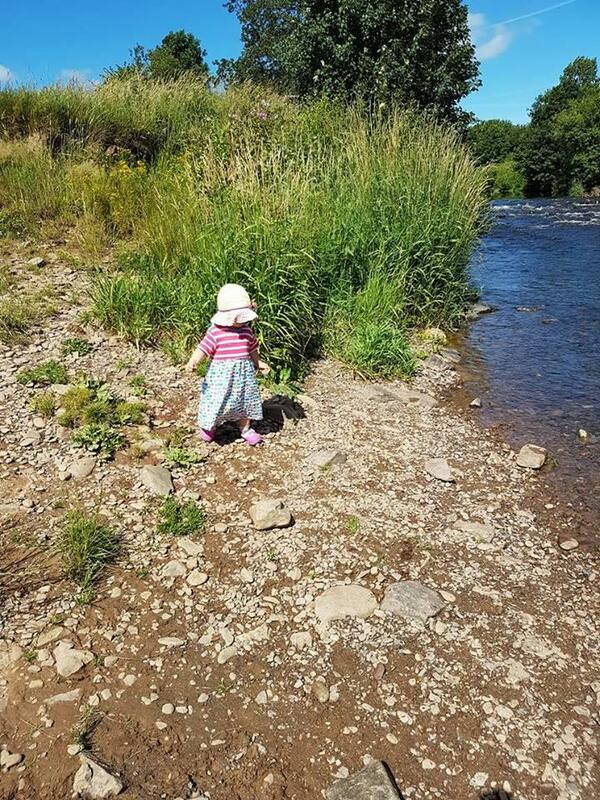 At the end of our road, there is are beautiful, grassy fields with a slow running river and natural stony ‘beach’ areas. We spend a lot of time there – which means we need good boots! 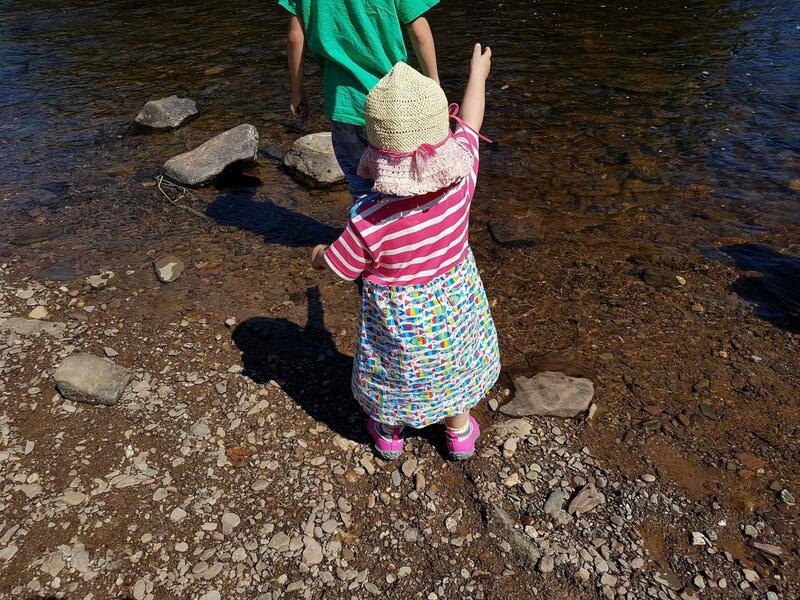 Even when the weather is warm we tend to put the kids in boots, because they like to paddle! 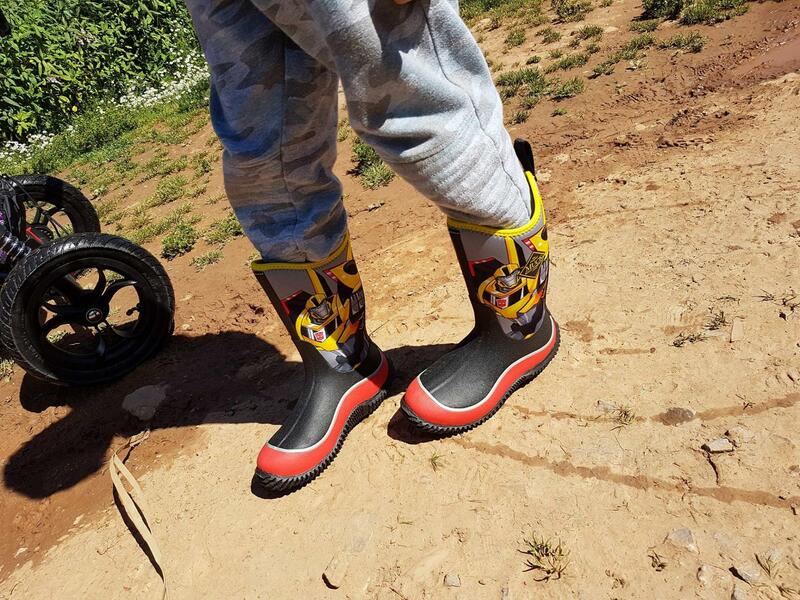 We were recently sent some boots from the Muck Boots kids range – their new designs feature Transformers and My Little Pony, and they also have a wide colour range in their standard boots too. 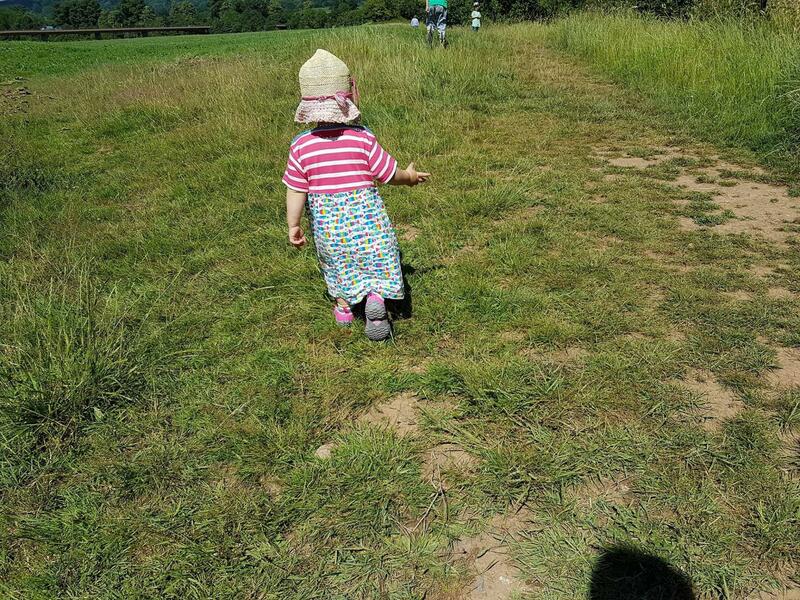 Eliza sometimes finds knee length boots a little hard to walk in, so she has a pair of the Muckster Kids II Low boots. 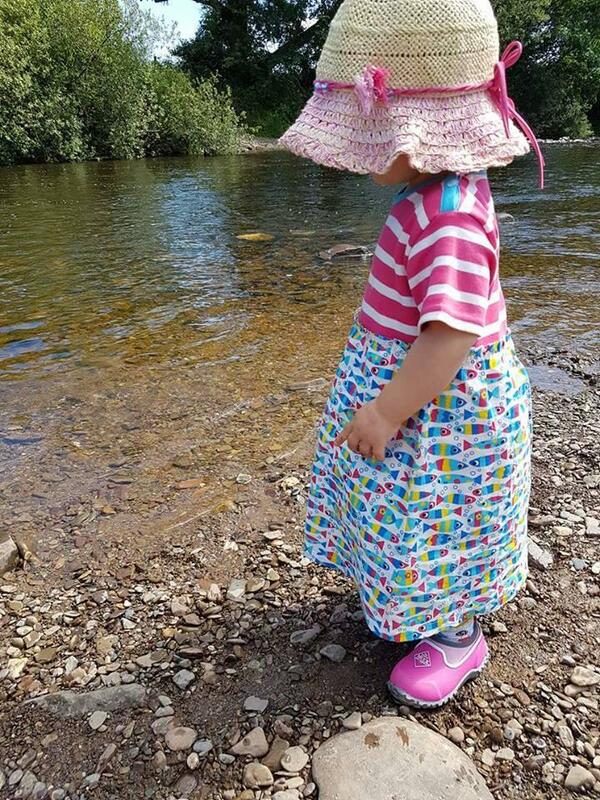 Designed to fit like shoes, these are much easier for her to manage, and are really multi-purpose, perfect for splashing in puddles, wearing for walks in the countryside and popping on when she is playing in the garden. 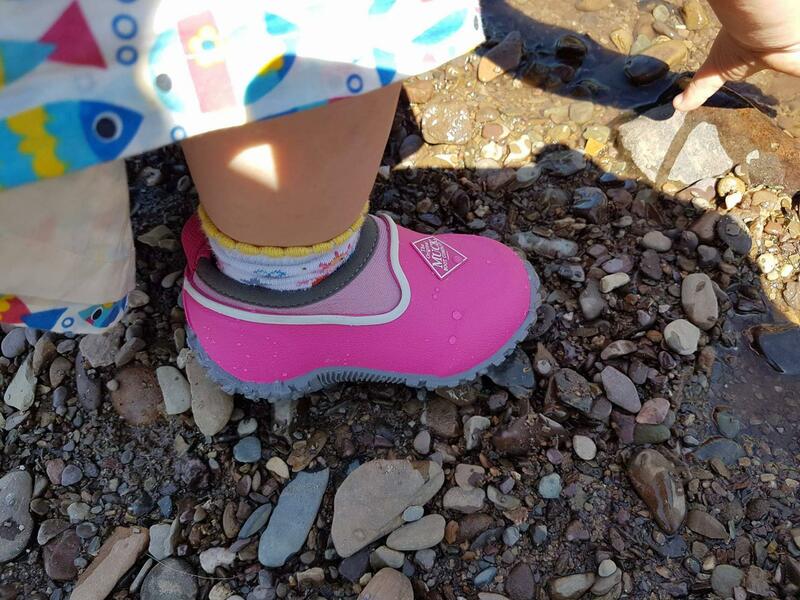 Again, these feature a pull tab to make them easier to get on and off, and are 100% waterproof – which Eliza has been putting to the test with a paddle in the river. 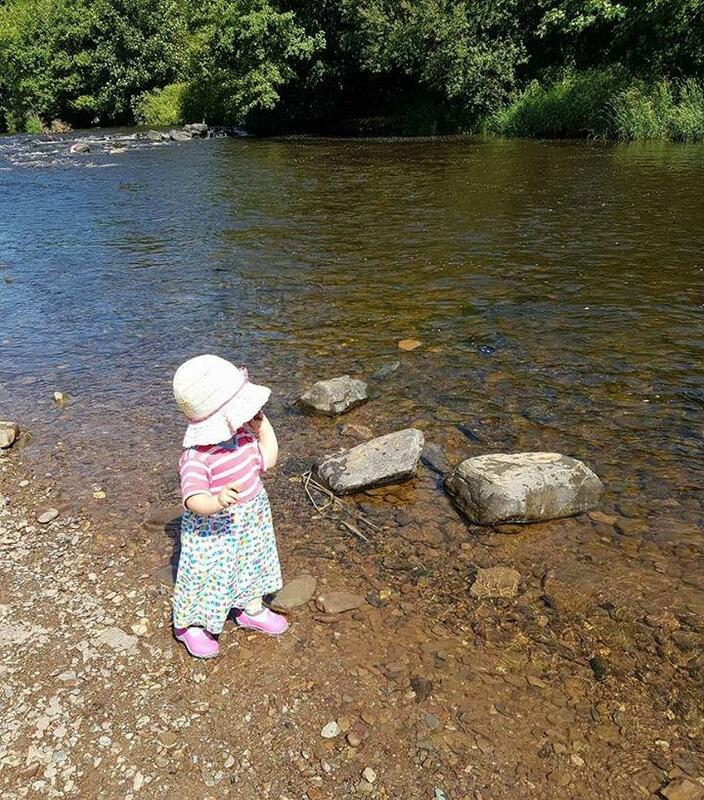 I can confirm that her feet stayed dry! 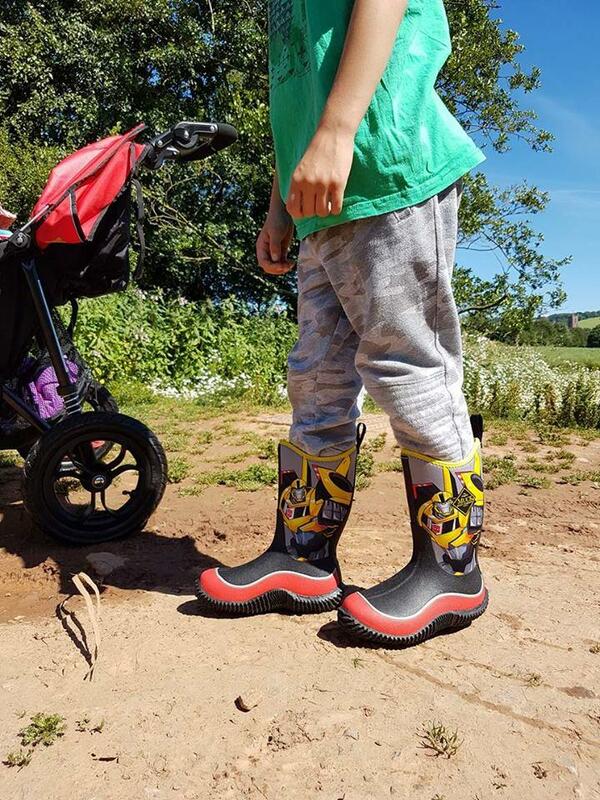 The Muckster II Low have a Flex-Foam and mesh lining, making them flexible and comfortable to wear in all conditions, as well as keeping feet cool in summer and warm in winter. 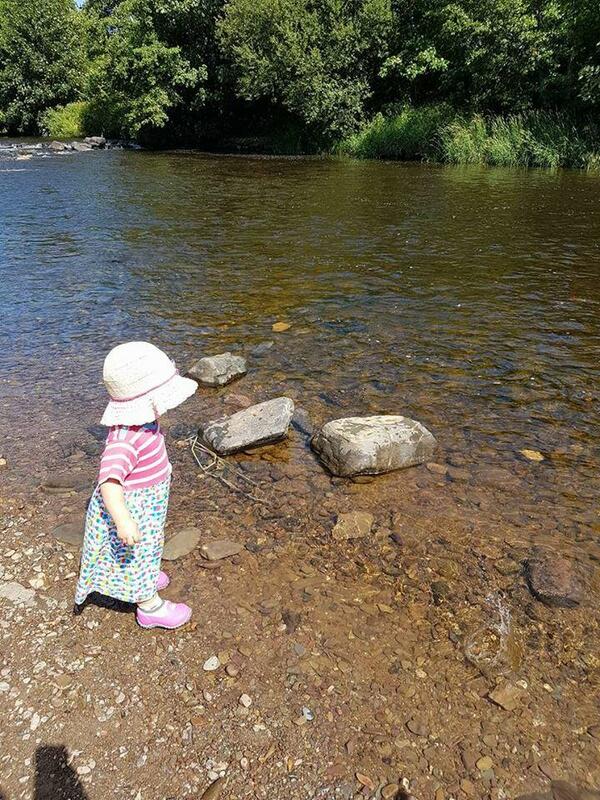 The high traction rubber sole keeps slipping to a minimum – perfect for younger children who are just finding their feet. 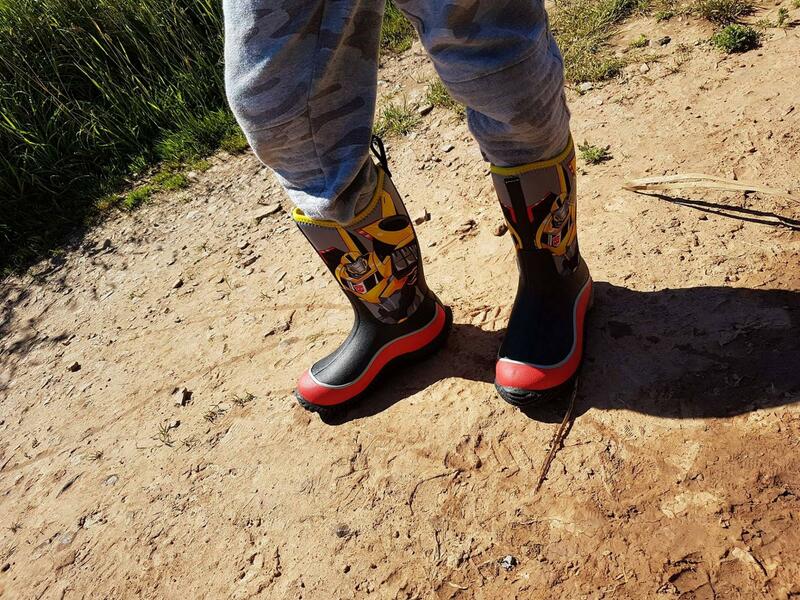 Both the Hale and the Muckster II Low are fantastic, all round boots, which can replace traditional wellington boots. They are more comfortable, made from a much more flexible, and much softer neoprene material. 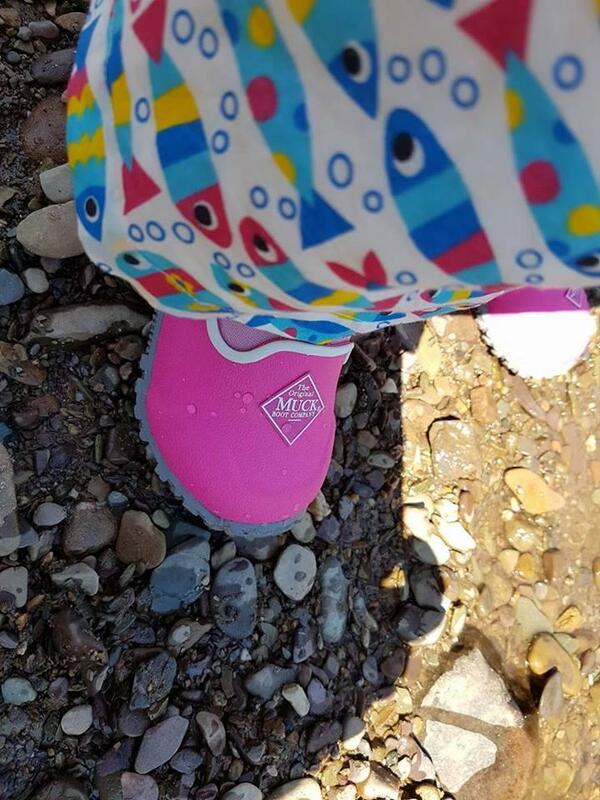 The thick, non slip soles make them perfect for wet areas, and there are so many different styles available, from low shoes and ankle height options to knee length and ‘my first’ boots. They are slightly more expensive than traditional boots, but they offer so much more that I think that price is justified. They are high quality, and will easily last more than one child, so are perfect for passing on too. What fun designs. These do look a lot more comfier than normal welly boots. “Self-cleaning robbed sole”?! I had no idea such things existed – that’s almost as exciting as when I found out about self-cleaning ovens?